He is reserved for Havas. Thank you! You just missed out this time! But if you want a similar dog to Alex, we can still find your dream puppy, just click the button below. Little bundles of love! This is the most adorable litter of bright, beautiful Maltese, all so sweet and snuggly, and waiting for their dream homes. I have been breeding the Maltese in my home now for nearly ten years, and all my pups are lovingly raised and receive around the clock care. 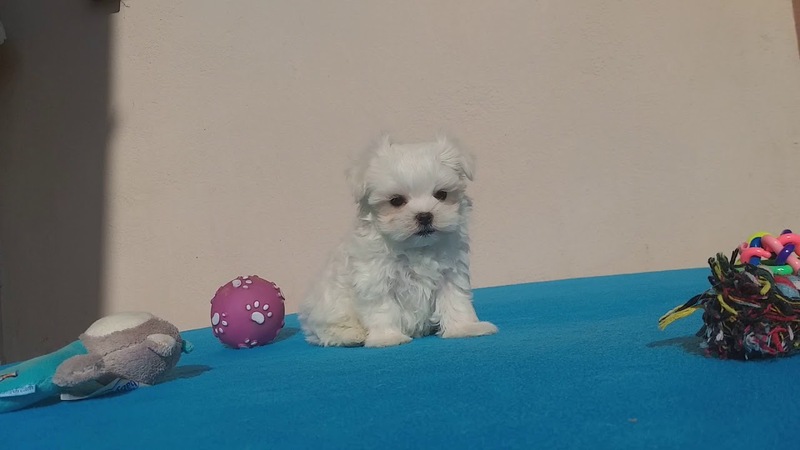 This pup comes from incredible Champion winning Maltese pedigree and the dam herself is a Champion winner. This pup will come with all detail of vaccinations and deworming to date, microchip, and the Euro Puppy Guarantee.